A collection of the following books that all work together to support you in building the best version of yourself. 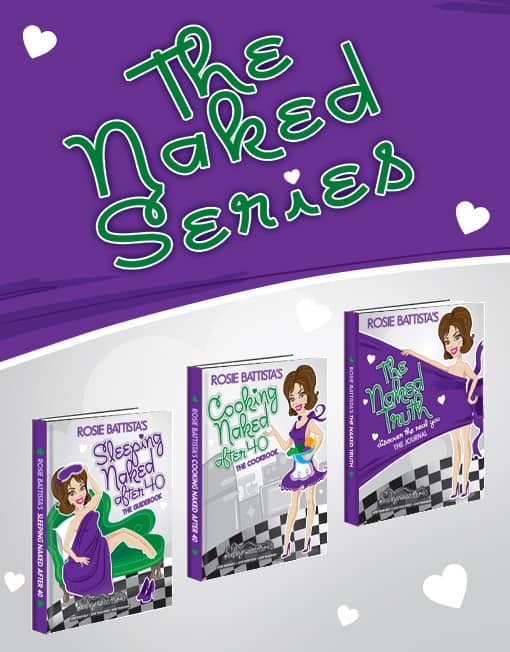 Sleeping Naked After 40 Guidebook, Cooking Naked After 40 Cookbook, Naked Truth Journal made up the 3 Book Set for education, inspiration and motivation. This set goes together so beautifully supporting you on your journey in fun, creative ways. Providing implementable steps and ideas for moving forward wherever you are in your journey. Your Inspirational, Motivational & Educational Guide to Excellence in Nutrition, Extreme Self Love Care and Extraordinary Care. CREATE. CONCOCT. COOK. This cookbook / workbook is a collection of pure and naked food concoctions that will delight your palette, change your body and improve your health. This journal is filled with self discovery exercises that will uncover amazing things about you, what you like, who you are and what you want.